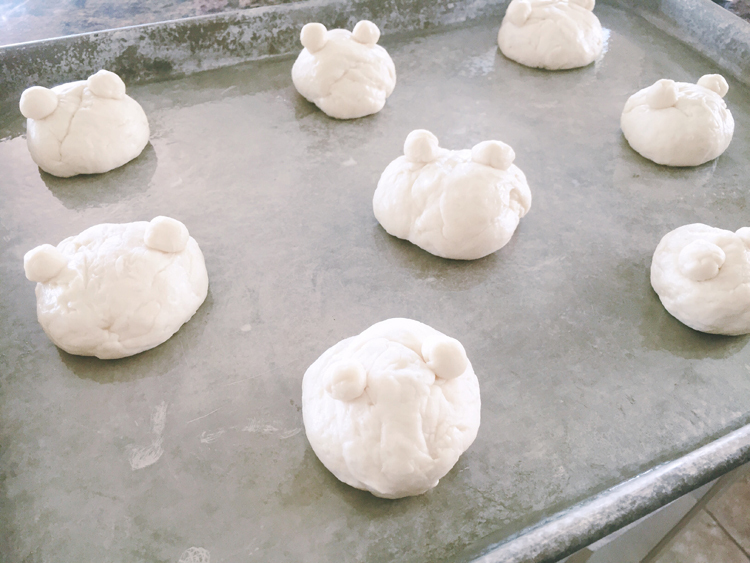 I have the Teddy Bear Picnic coming up so I had the idea to make bear rolls for the sandwiches. I didn’t have directions exactly so I winged it. This is how they looked right before the second rising. I was SO excited with how they were looking and I knew they’d give the perfect touch to the picnic. I followed directions of regular rolls (lay a plastic wrap over them as well as a damp hand towel) to help them rise. Well, it didn’t help. The weight of the towel and the plastic smooshed them down and totally flattened the ears. 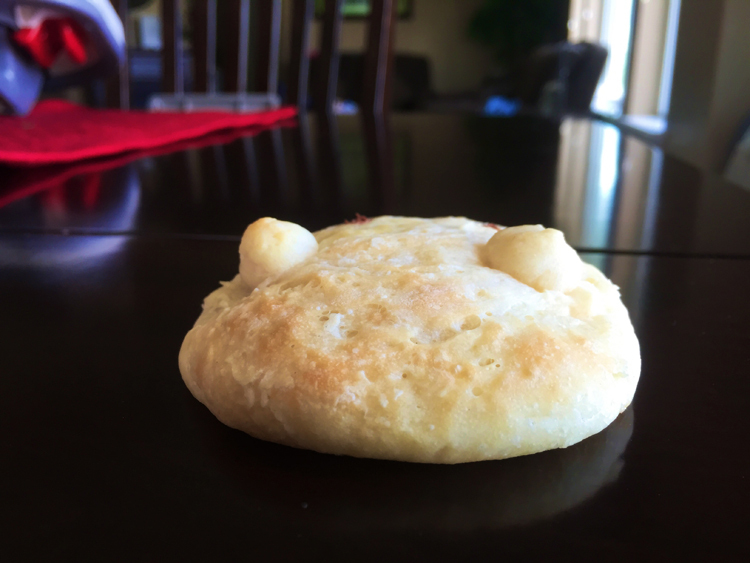 This is the final product….haha not exactly bear like. They look like frog faces! I’m going to try it again but without the towel or plastic to see if they’ll hold their shape. They tasted delicious though! Click HERE to see how the picnic fared without the darling bear buns!